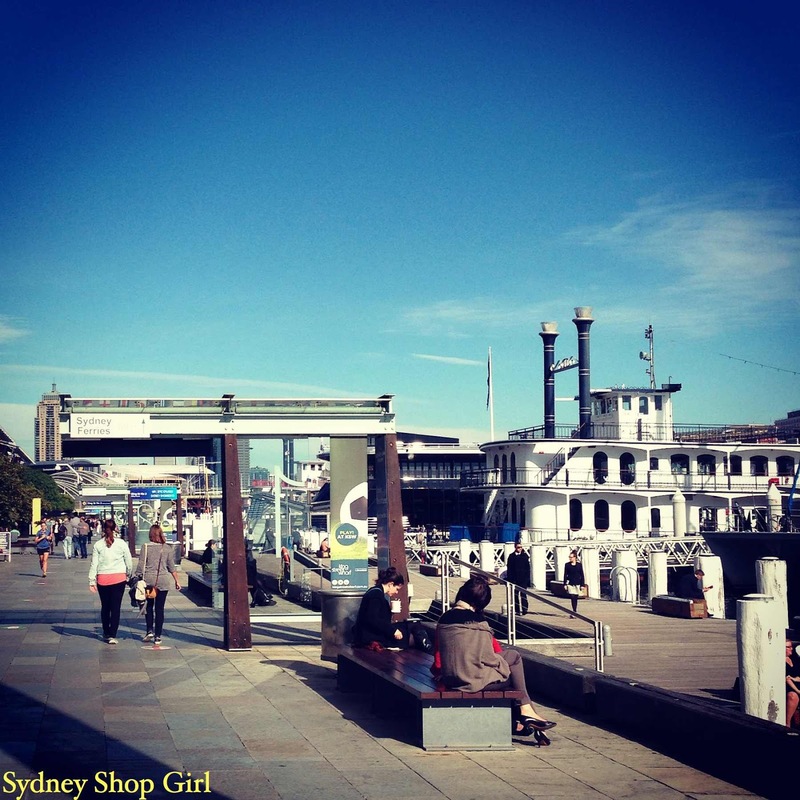 Sydney Shop Girl: Blue Skies, Blue Jackets. Unexpected Benefits of Spendy Perfume. Blue Skies, Blue Jackets. 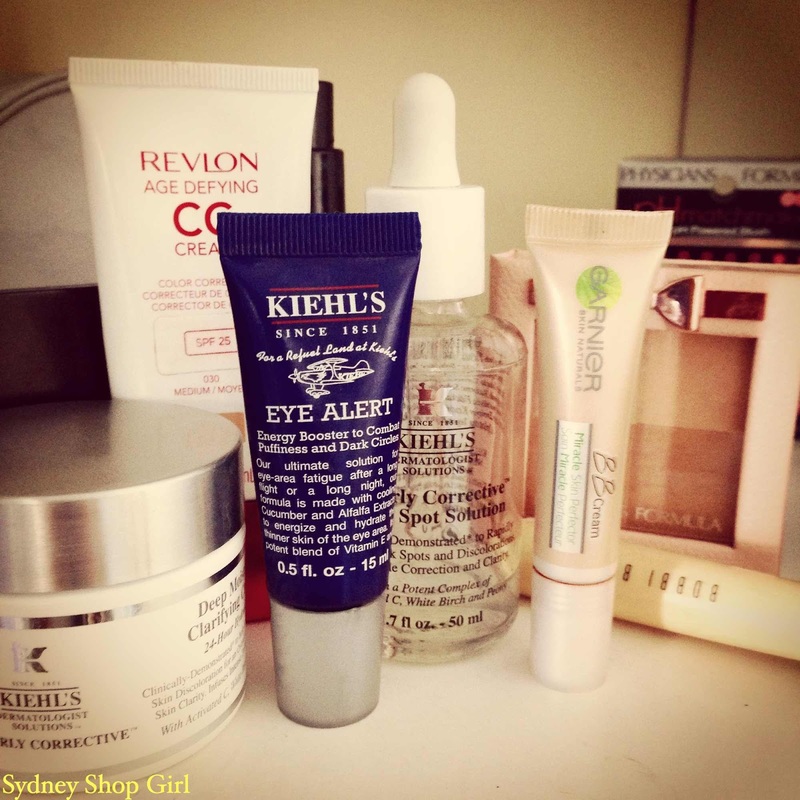 Unexpected Benefits of Spendy Perfume. In hindsight, trotting off to renew my drivers licence on 3 hours sleep yesterday wasn't the best way to celebrate the Blues winning Origin. But it had to be done and after a good half hour with everything in the above photo (and then some), I was ready to meet the evil camera at the licencing office. I was beyond devastated to discover that smiling has officially been banned in NSW drivers licence photos. Then again, I suppose the face on my new licence will be a perfect match for the face I have when I'm driving in peak hour. There will be no mistaking any of us then when the police pull us over for random licence checks. My personal admin for the day done, it was time to hit the city to meet a friend for lunch. 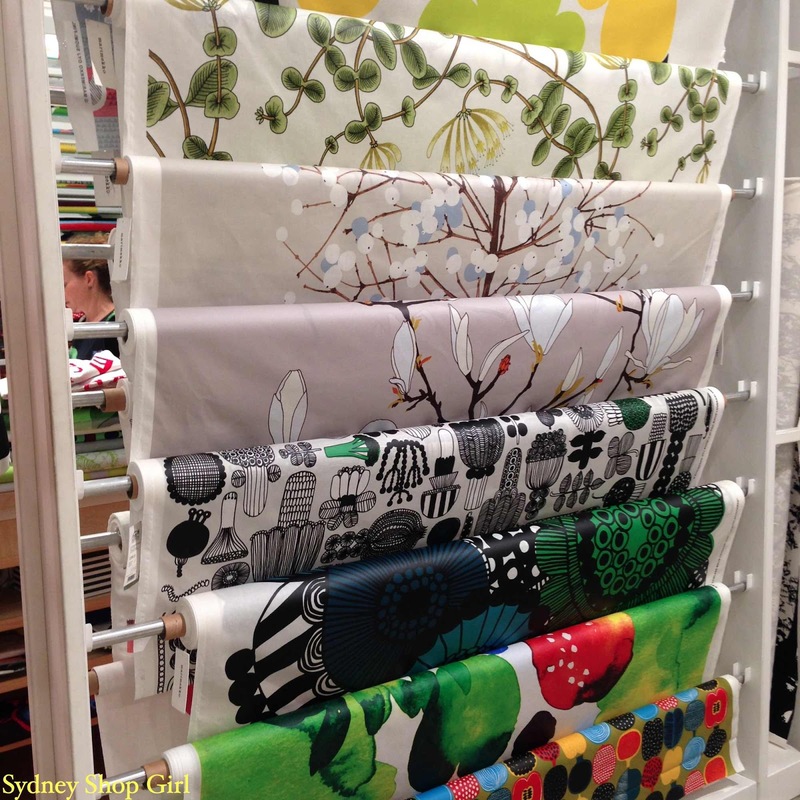 Did you know that Marimekko are in Sydney? They have a beautiful store on King Street that carries a range of the Finnish design house's accessories, fabrics, women's and children's clothing and homewares. I am in love with their dresses. Each and every one of them. The prints, the styles - the entire collection manages to be both timeless but far from boring. 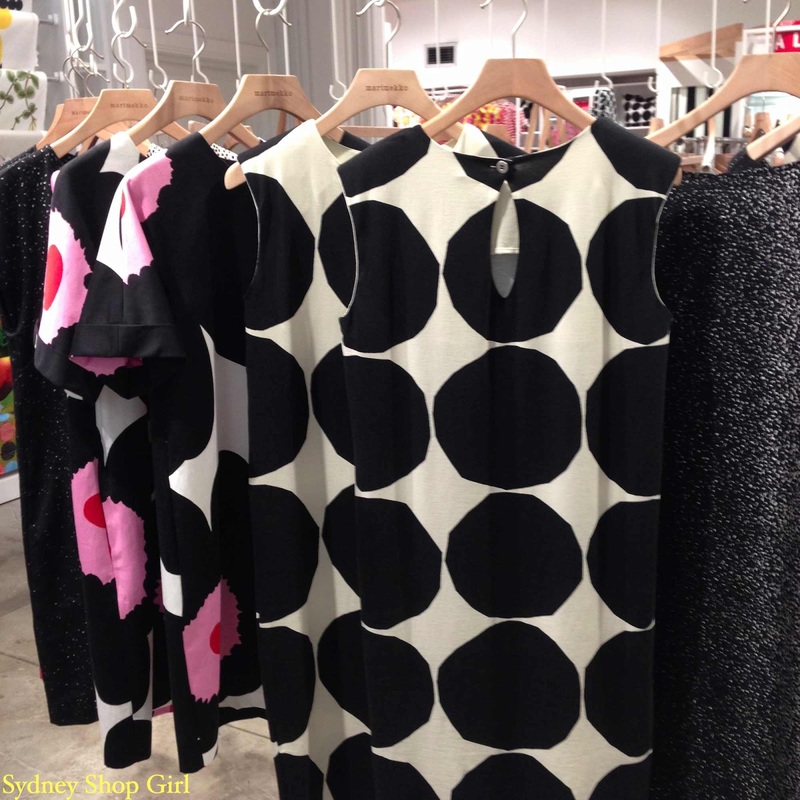 I can't wait for summer to return because I think a Marimekko frock or two will be in my fashion forecast for the season. 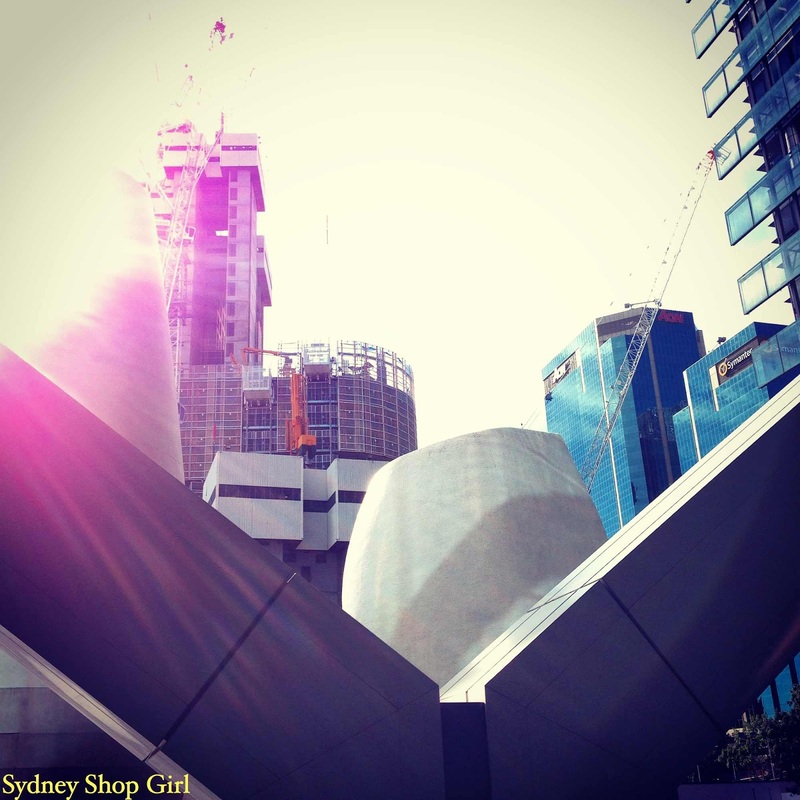 Dreams of summer in my head and the sun on my face, it was time for a brisk walk to Barangaroo where my friend's office is. I've read and heard so much about the redevelopment in the area but had never quite been able to place where exactly Barangaroo was. 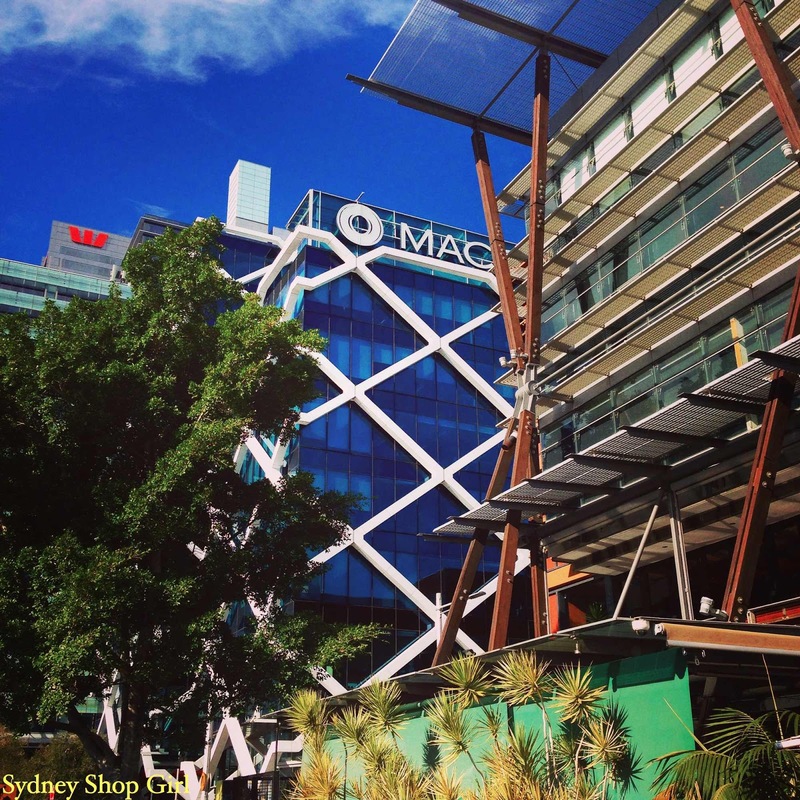 Turns out it's just next to Cockle Bay Wharf and next to the CBD. 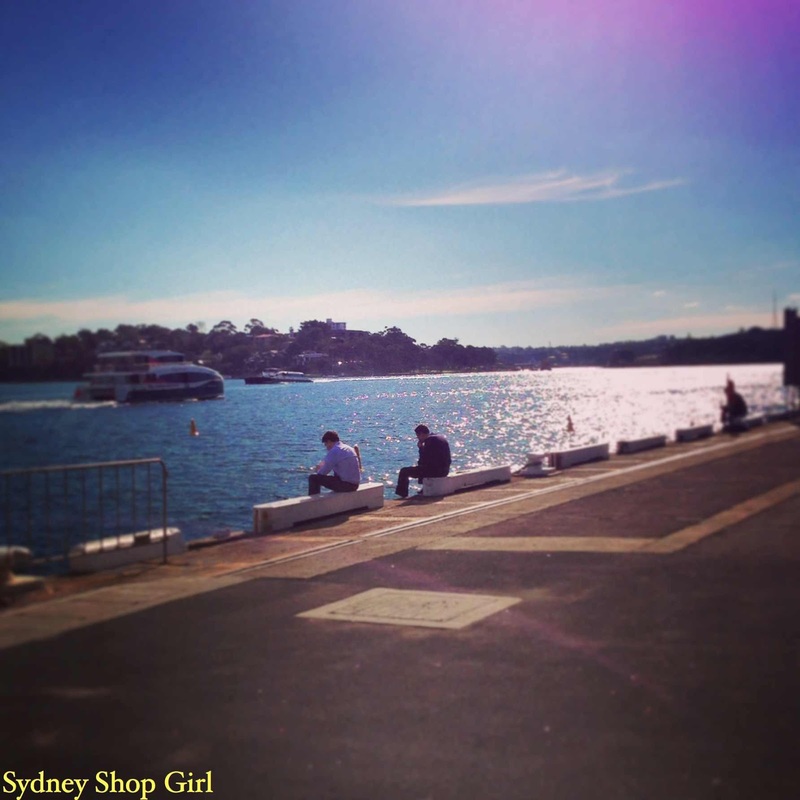 Walsh Bay hovers in the distance too. It was just magical being so close to the water at the somewhat surreal intersection of construction cranes, boats, tourists and dark suited office workers. It doesn't matter if you're in the CBD for work or play, I guess. The moment that winter sun shines through the wispy clouds, you just have to get out and get some rays. The weather even inspired me to give my usual winter black and greys for some blue to match the sky. Jacket - Zara, T - Bonds. You can never go wrong with a piece of Zhanel (Zara's legendary channelling of Chanel's boucle jackets) for a fancy lunch with a girlfriend. 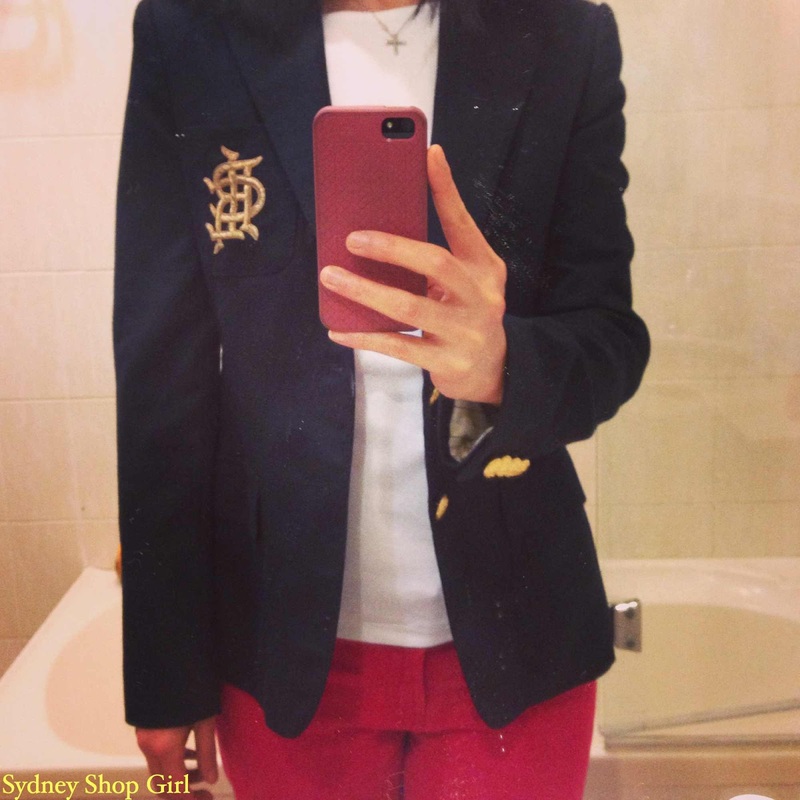 Jacket - Ralph Lauren, top - Mix Apparel, skinnies - Cotton On. And some Ralph Lauren navy preppiness gets a casual Friday outfit of coloured skinny jeans and a white top over the work appropriateness line. I have a new work lunch obsession. Hot smoked salmon over a salad of blanched green beans and asparagus. I like hot smoked salmon has the texture of poached salmon but with a decidedly more complex taste from the curing process. At around $8 for a single serve pack, they're not going to be an everyday lunch for me but it's nice to have a splurge at work every now and then. It breaks things up a bit when my usual rota of brown bagged lunches get boring. Speaking of budget breakers, those Jo Malone Cologne Intense fragrances I bought last month are definitely earning their keep. They last all day and even stay in my hair after I've washed it. Drying my hair is less tedious when the gusts of hairdryer hot air are scented with Dark Amber & Ginger Lily. It's going to be a busy weekend around here. After a long week, I'm looking forward to getting out and about and making a start of an unashamedly trashy novel I pre-ordered for my Kindle. It got delivered during the week and it's World Cup related. Sort of. 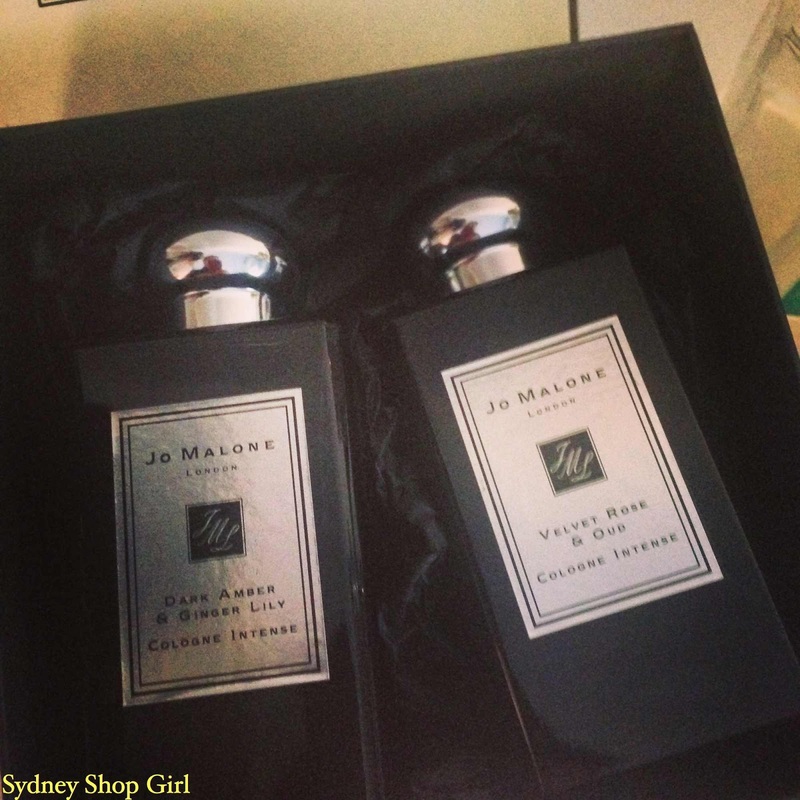 I love Jo Malone Perfumes - I have Red roses and Vanilla Anise. I bought another spendy perfume on my holidays. It's called black afghan and has hashish in it! It smells amazing. Love Jo Malone scents! Have a gorgeous rose reed diffuser in our bungalow right now and it is divine! 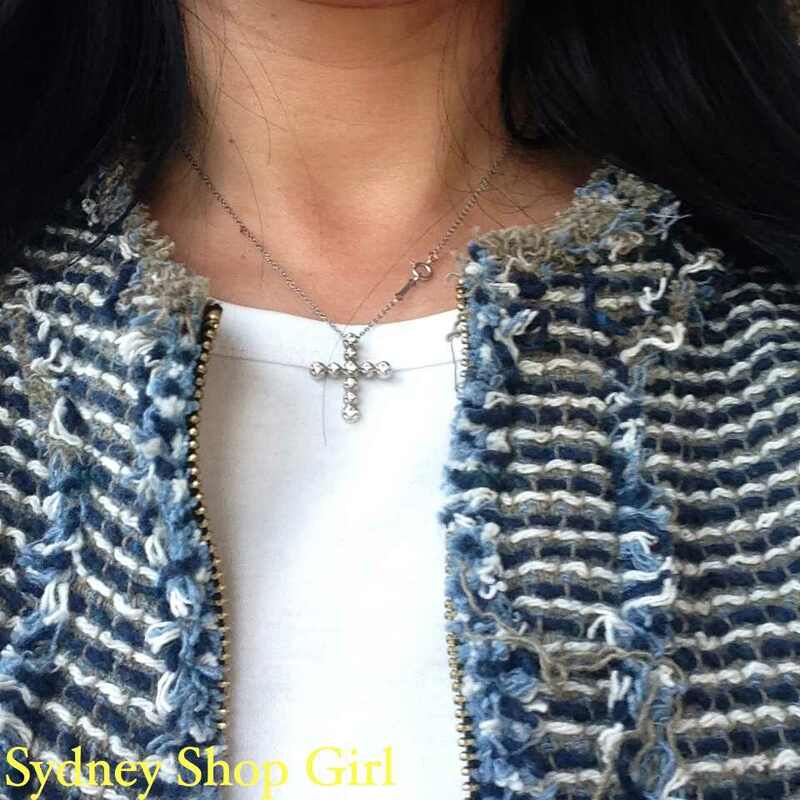 Your tweedy jacket is something I would wear and the blue would elevate simple denim jeans. Saw the news that there is an albino whale swimming in NSW waters...so rare! I love Jo Malone scents, Marimekko, and your Zhannel jacket. 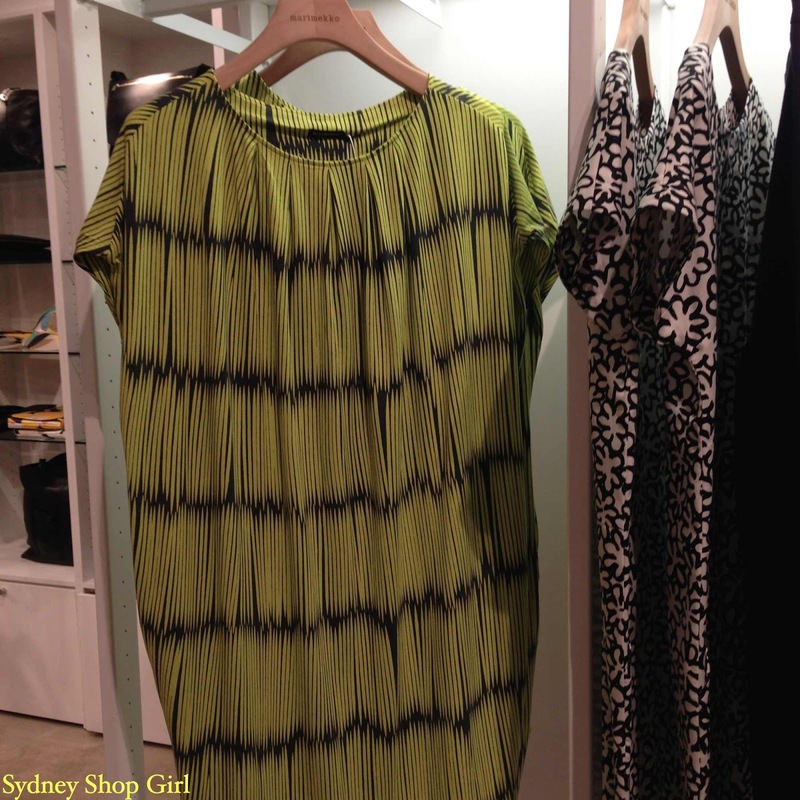 Marimekko has a collaboration with Banana Republic now - you will love the dresses!